Following his festival debut last year, baritone Benedict Nelson returns to investigate how mental and emotional distress have affected the work of composers from Robert Schumann to Francis Poulenc. Prepare for an evening by turns surprising and enlightening. See the Candlelit Recital with Laura Snowden at 9.30pm too and save £5 with a Friday Pass ticket. 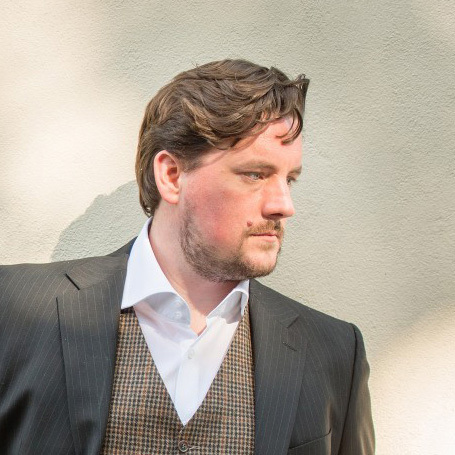 Having attracted comparisons to Simon Keenlyside and Gerald Finley, Benedict Nelson has established himself as one of the UK’s most exciting young baritones. A Ferrier Award and Wigmore Song Prize-winner, he was one of the first Harewood Artists at English National Opera. Praised for his musicality, sensitivity and ease on stage, Nelson is equally at home on the recital and concert platform as he is in the operatic spotlight.